Plenty of the world’s best hotels didn’t quite start out with concierges manning the front desk or chocolates being left on your pillow – heck, some didn’t even come with pillows! Perfect for the building history buff, the architecture enthusiast, or those looking for something a little different; here’s how designers and hoteliers have successfully turned buildings of yesteryear into luxury hotels of today. 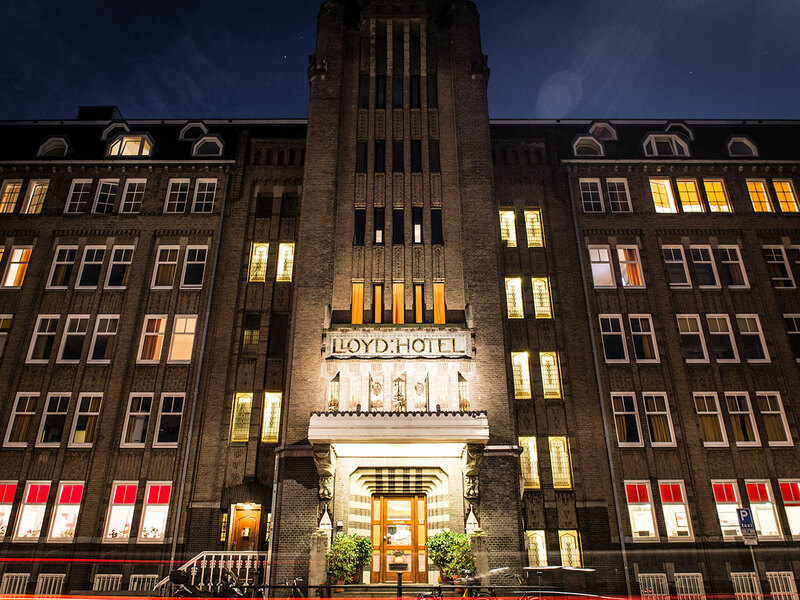 Be part of a long-standing historical Dutch landmark by stepping foot inside the Lloyd Hotel. The hotel started life as a safe haven for immigrants back in 1920 and was turned into a centre for refugees in 1935. Later the building hosted more permanent residents as a correctional centre for adults and juveniles, before allowing artists to work in its studios. For guests looking to immerse themselves in this hotel’s colourful past, they need only climb one of the many staircases to view historical films, pictures and letters in the world-acclaimed hotel’s permanent exhibition. And don’t worry, guests in the 117 designer rooms are treated much better these days. Formally known as the Federal Reserve Bank of Boston, this 1920s Renaissance Revival building swapped bank tellers for hotel concierge staff. The Langham Hotel now houses 318 classically styled rooms and suites instead of offices, for guests to admire both the historical building and magnificent Boston skyline. Though you won’t be able to do your banking here, you can still bank on having a pampered, relaxed stay in America’s “Walking City”. Bright neon and incandescent lights will make you feel like an early 1900s movie star as you step onto the footpath outside QT. 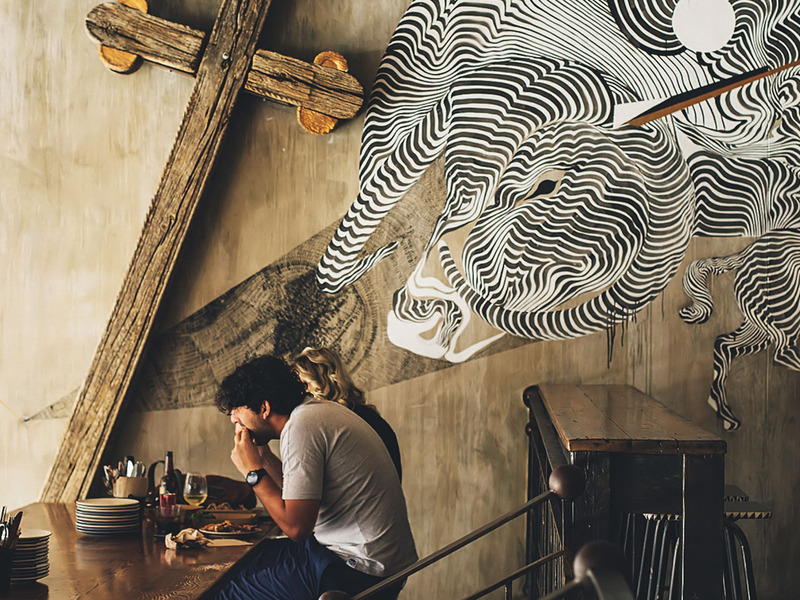 Blending right in with Sydney’s historic State Theatre and Gowings buildings, QT’s exterior architecture of Gothic, Art Deco and Italianate influences transport you into another world as you step inside its quirky-meets-contemporary interior. The 200 suites are decorated in the same decadent style, with luxurious beds, free WiFi, relaxing walk-in showers or over-sized bathtubs. Those seeking an eat, pray, love experience will find all of that and more at this luxury 5-star hotel. Re-purposed from the site of a 14-century monastery, Mandarin Oriental, Prague has managed to meticulously preserve the historic landmark and still provide the comforts of premium luxury. Wake up to dome-shaped ceilings, open the doors to ancient monastery gardens or marvel at the historic city as you gaze through its windows; there truly is no better way to experience this beautiful city in all its glory. No guesses as to what the Cork Factory Hotel used to be. A major contributor to the development of Lancaster since the 1800s, the building began its formative years as the site of cork production before switching to manufacturing bottles and caps. 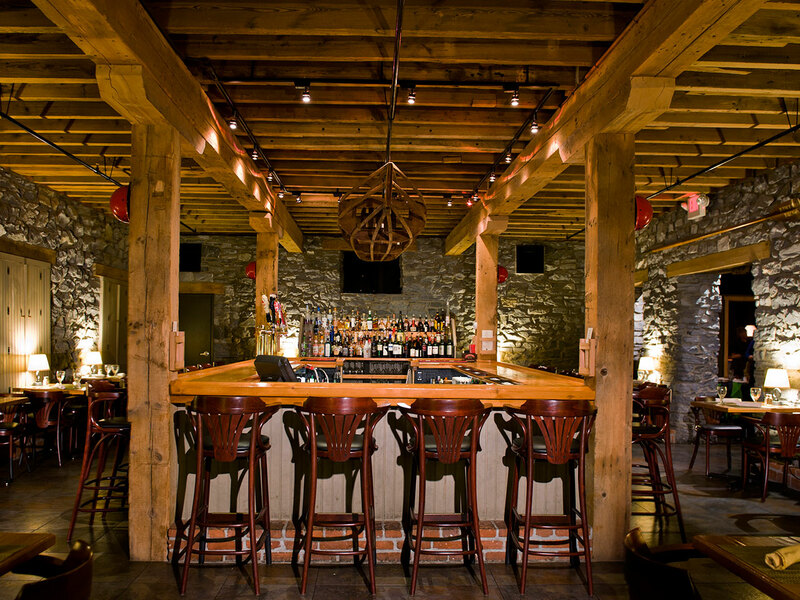 Thanks to the restorative efforts of the Baldwin family in 2009, only guests walk through its factory doors today. 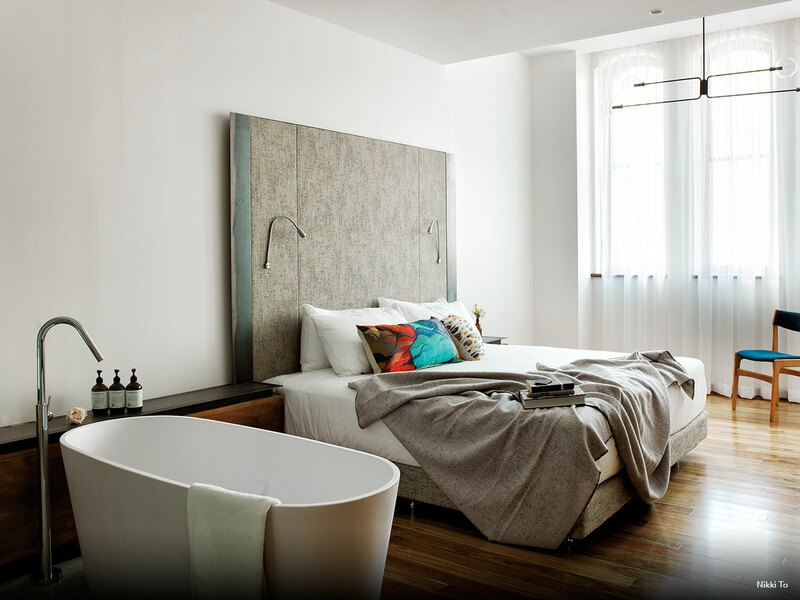 Fitted with modern-day furnishings yet retaining its original brick interior walls and exposed wood ceilings, the boutique hotel’s guests enjoy a comfortable trip down memory – or more aptly, Lancaster lane. And with the way things are looking, it’ll be a long time until someone puts a cork in it. The brainchild of Grazyna Kulczyk, one of Poland’s richest women, Blow Up Hall 5050 is a hotel unlike any other. Taking the carcass of an old brewery, Kulczyk preserved and restored the building’s existing brick facade only to further emphasise the striking contrast of its modern-day interior. If you’re looking to check in, you won’t even be greeted by a front desk. Instead, a concierge confirms your booking and hands you an iPhone which acts as your personal curator, navigator, and access key to your room – which otherwise would be impossible to locate as the rooms come with no numbers. And why the name 5050? Kulczyk strongly believes that everything in life should revolve around 50 percent business and 50 percent art; which is prevalent in its contemporary interior design – rightfully earning them a Top Hotel 2009 Award for Polish Hotels. We, however, would like to think that it’s 100 percent brilliant. Just like its cruise liner’s namesake, the Titanic Hotel certainly makes a grand first impression. Boasting 153 spacious rooms with near floor to ceiling windows, this port warehouse-turned-hotel lets you breathe in the sights and sounds of historical Liverpool in luxurious comfort where your heart will surely go on and on. Head over to the city or choose to stay in and feast at their bar and grill, it’s smooth sailing no matter what you decide. 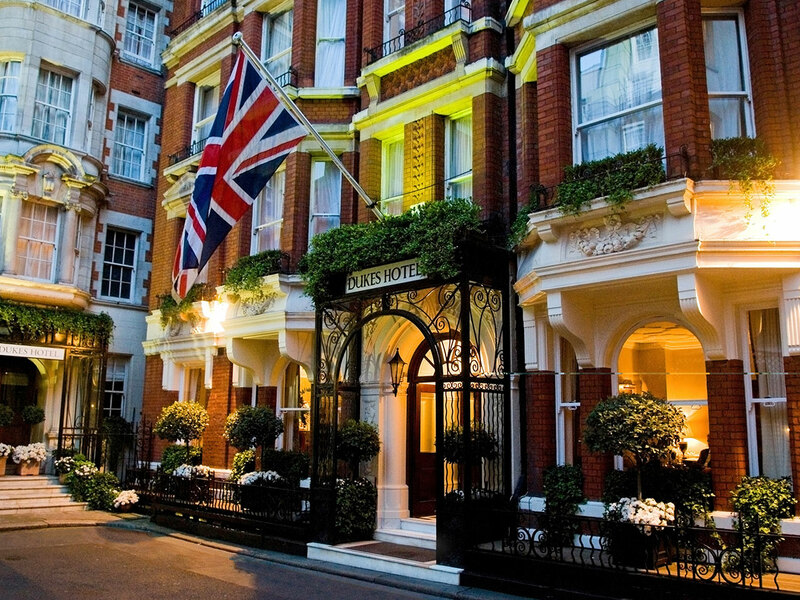 Don’t forget to lift the pinky as you sip on English Breakfast or Earl Grey tea over at Dukes London. A 16th-century palace to King Henry 8th, this repurposed building still treats its guests like royalty. With modern and classic styled rooms and suites to choose from, one truly gets a sense of British sophistication and elegance. We’re unsure whether the hotel staff will address you as “your majesty”, but who’s to say you can’t make that request when you check-in. Don’t let her name fool you, The Old Clare Hotel feels very new. Situated along Kensington Street, this 62-room boutique hotel and its neighbouring area just got a fresh coat of paint and then some. With new fine-dining establishments, cafes, and shops sprouting up in the surrounding laneways, this classic beauty still maintains her charm, with her rustic brick face walls, raw finishing, and 1970s-themed fixtures beautifully preserved, only to be complemented by modern-day furnishings and minimalist furniture. Located in an old Indian settlement where immigrants once reared livestock almost 100 years ago, the facade of the building at No. 2 Dickson Road remains unchanged. Yet, step foot through the doors of Wanderlust Hotel and you’ll feel like you’ve just gone 100 years into the future. This 4-storey boutique hotel offers those seeking to satiate their wanderlust with a one-of-a-kind experience in each of its 29 award-winning designer rooms. You’ll definitely have to experience it to believe it. Those who dreamed of growing up to be a fireman can finally have their dreams fulfilled thanks to the restorative efforts of Charlotte Forsythe and Gerald Fandetti; a couple passionate about preserving historical landmarks. Formerly known as Engine 7 Firehouse, the Kendall Hotel retired its fire blankets in 1993 and switched to 100% cotton ones in 2002. With 77 lovely rooms, guests can have a firsthand feel of what it’s like bunking in a fire station in a much homelier state – just remember to pack your own firefighter’s helmet to complete the experience. Perth’s little treasure, COMO The Treasury is bound to delight hotel goers and satiate architecture lovers alike. This historic 140-year old repurposed State Building beautifully combines postmodern architecture with modern-day comfort living. From its brick facade of roman columns and oversized windows to its 48 high-ceilinged contemporary rooms, guests can look forward to enjoying a luxurious escape in the heritage precincts of Western Australia.